Conrad Colman is in recovery mode. The Kiwi skipper in ninth place in the Vendée Globe is recovering physically after three epic days battling to keep alive his ten year dream to complete the famous solo round the world race. Rest is the best medicine for his cut hands, his strained and bruised limbs and battered body and the 34 year old solo skipper, who is on his third racing circumnavigation, has enough experience as a sailor and endurance athlete to know he can deal progressively with that requirement. 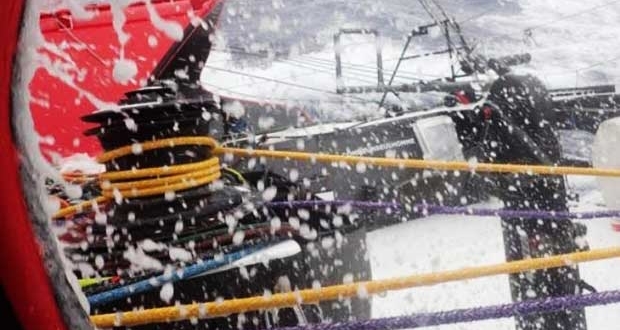 But at the same time as his relief is palpable that his strength of character and the toughness of his boat and rig proved enough to keep him in the race, so too it is impossible for him not to reflect on the miles lost while he was in his fight with the elements. 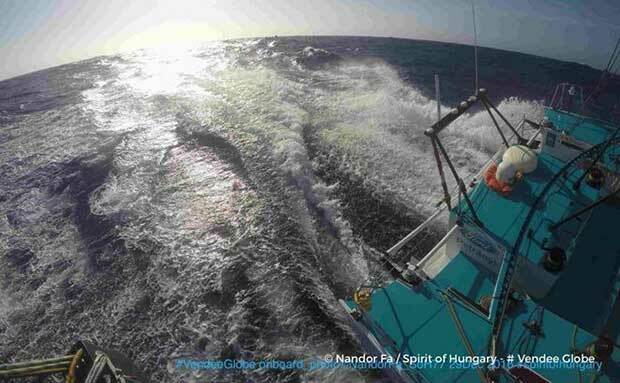 Keeping his Foresight Natural Energy on the race track, heading east towards Cape Horn since yesterday evening, when he came within a hairsbreadth of losing his mast, should feel like a triumph in itself. But to the hard bitten competitor who has been punching above his weight since the start, the 350 or so miles he has lost to Nandor Fa in front of him and now with Eric Bellion just some 203 miles behind, the miles lost to his exhausted mind have the feel of a knockout punch. In fifth and sixth places Yann Eliès and Jean Le Cam were racing half a mile apart this afternoon. Irish skipper Enda O’Coineen who lost his mast on New Year’s Day has arrived in Dunedin this afternoon, towed the final miles there. And Sébastien Destremau is expecting to leave the haven of Port Esperance, Tasmania tonight (daytime local) after checking his rig and repairing a spreader, now ready to take on the Pacific.